I’m Google Digital Garage Certified. 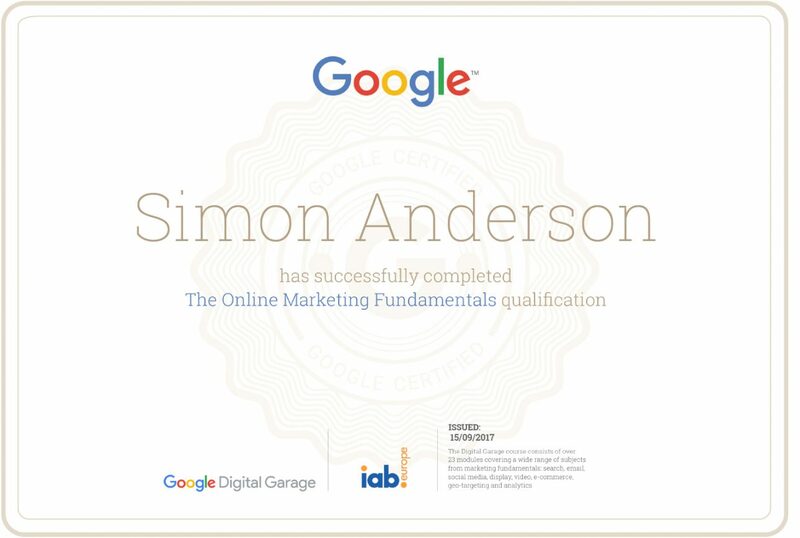 I undertook an official Google and IAB Europe certification that involved 26 modules that covered everything from everything from search and social media to online marketing and analytics. As you can see from the certificate opposite, I passed with flying colours.